TORONTO - Mandatory smart meters are dumb, Progressive Conservative Leader Tim Hudak said Monday in promising to scrap the program he called just another tax. Smart meters allow people to shift electricity-consuming chores to off-peak times when power rates are lower, thereby saving money and easing the overall load on the system. But Hudak said too many families simply end up paying the higher rates because they can't shift their power-usage habits. 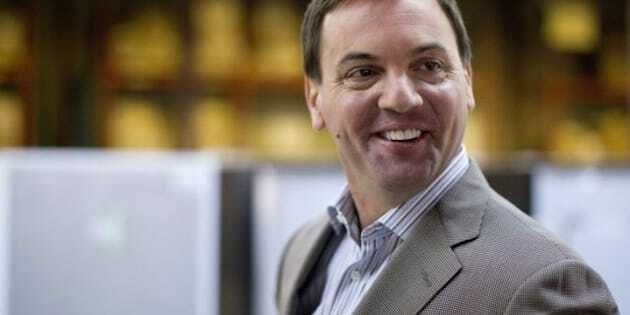 "What I hear from families is they're nothing more than tax machines," Hudak said of the smart meters. "Not every family can get up late at night to do the laundry. Not every family can have all the kids showered and fed and ready for school before 7 a.m. when the higher rates kick in." With smart meters, or time-of-use pricing, consumers pay significantly more — as much as 150 per cent more — for power used at higher-demand times. The Liberal government maintains the meters are a valuable conservation tool in that they force people to think about the power they use. Smoothing out the demand also keeps overall hydro costs down because it lessens demand at peak times that drive prices up and strains the system, they say. During the six months ending Oct. 31, for example, the on-peak rate of 10.5 cents a kilowatt-hour is charged between 11 a.m. and 5 p.m.
By contrast, off-peak price — between 7 p.m. and 7 a.m. and on weekends — is just 5.9 cents per kilowatt-hour. Hudak did not say why he considers after seven in the evening to be "late at night." Nor would he say what power would end up costing if the system was scrapped but said it would be a flat-rate "set as an average of the other rates." The Liberals pointed out that the average would mean a cut of 20 per cent on peak rates, but a 44 per cent jump over off-peak times when, they said, most residential usage happens. "Hudak’s failure to understand this basic fact will result in families paying the price of his ill-conceived policy," the Liberals said. Hudak said people who like the idea of time-based power can opt in if they want, but said no one should be forced to have a smart meter. "I just don't think it's the role of the premier of province to lecture our seniors to get up late at night to do the laundry."